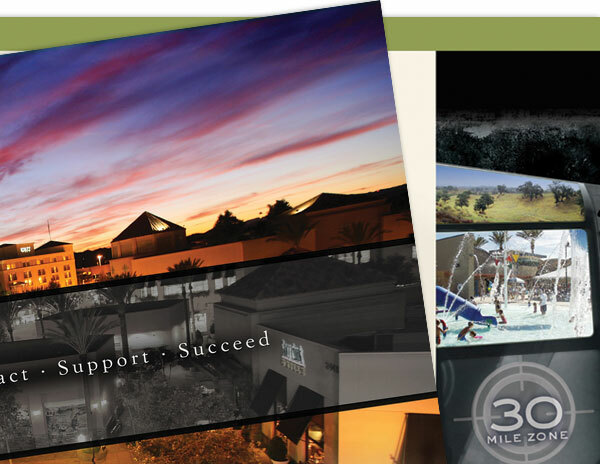 McGregor Shott has been involved in Santa Clarita Valley’s economic development materials since 2002. We have worked with the staff to produce materials to receive Enterprise Zone designation and are creating ongoing materials for this program, which have included banners, ads, the website, and postcards. We are continuing to work with the City and the Santa Clarita Economic Development Corporation to continue with such materials, such as one-sheets, business attraction guides and annual reports to attract and retain current businesses. Our level of experience with the subject matter helps create on-target materials at a lower cost than outside agencies. A clever combination of photos, colors, and graphs, this 12-page annual report wasted no efforts in highlighting the strong points of the local economy.